Ernst Josephson(1851-1906) oil painting on canvas for sale. Swedish famous impressionist painter. NORDIC LIGHT! Impressionism Ernst Josephson! This painting is kept in bank for safety reason. All valuable object are stored in bank. For viewing of single object please contact Gallery JT Ltd in advance for further information. 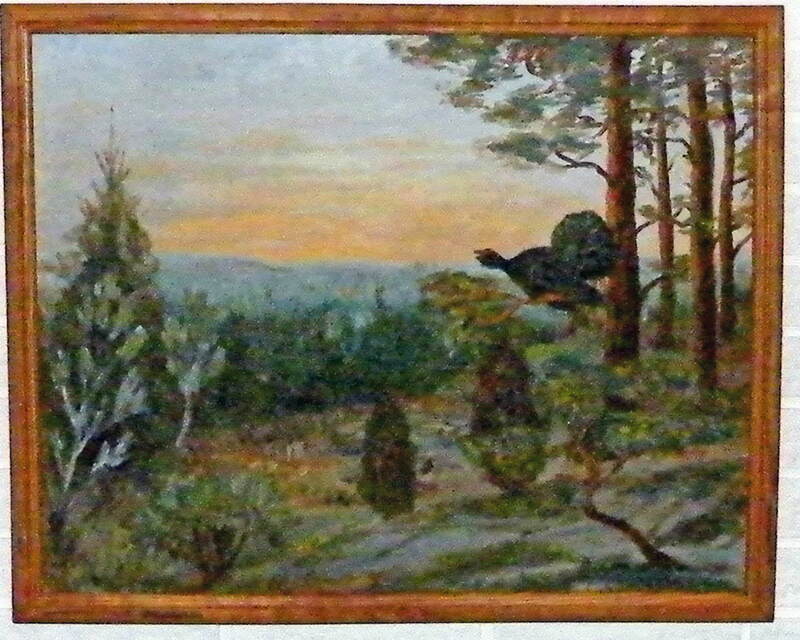 Impressionistic landscape painting oil on canvas signed E Josephson 80/or 88. Regarding context and truthfulness of text written on works of art Gallery JT Ltd enclose our interpretation but Gallery JT Ltd cannot give any guarantees. Josephson suffered from mental illnes in 1888. Impressionism in this painting can be explained by Ernst Josephsons influences from the impressionistic movement in the 1870 - 1880 ths. Size: 28,55 x 22,64 inch, date: Under the sign and letter S you can see the number 88 or maybe 80, (1888) under lined. 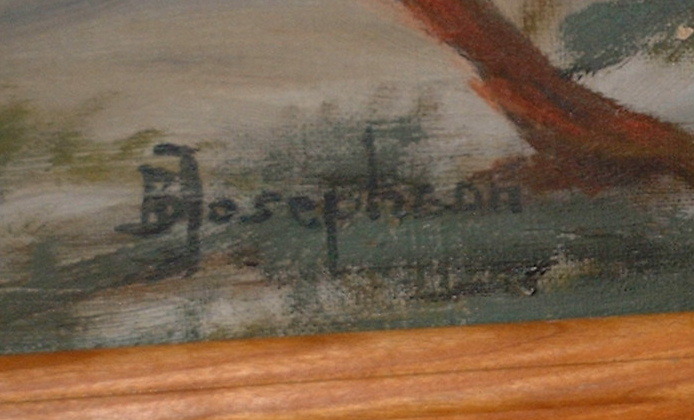 In the signature you see a very round type of E typical for Josephson. Provenance: Bought in at an antique fair from seller evidently mostly involved in gold trade. Information about Ernst Josephson( 1851-1906). Ernst Josephson -the founder and also the leader of the very famous Swedish group of artists called: the opponents. -See for example the National museum of fine art in Stockholm for more information about this Swedish group of artists who changed the Nordic world of art with prominent members like Carl Larsson and Ernst Josephson! Carl Larsson is one of the most famous artists ever from Sweden. The Swedish impressionist were active and influenced by the french impressionists in their own time: Monet, Manet,Sisley,Renoir and so on. This impressionistic landscape painting shows some attributes which of Ernst Josephson is very famous for symbolism. With the use of symbolism painters gave shape to ideas with the use of symbolism in the end of the 19 th century. Through shape and colours the symbolists broke away from narrative landscape art. The symbollist movement is considered as a reaction against the impressionists. The leading artists of symbolsim are among others for instance Munch(Norwegian), and James Ensor,(Belgian). -READ MORE ABOUT JOSEPHSON AND THE OPPONENTS: SEE OIL PAINTING SIGNED CARL LARSSON! ?st Josephson fall in to mental illnes 88. Information above is written and verified by Gallery JT LTD 2010. Notify me of updates to Oil painting signed E Josephson Obs! Kept in bank.